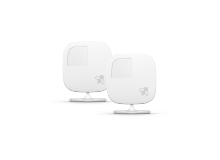 The cost of a smart thermostat to a homeowner is not always the same as the MSRP of the thermostat. The price is subsidized by rebates and incentives (and in some cases even tax credits and grants). These programs are funded by the federal and state (or provincial) government and by the energy provider or utility servicing the area. 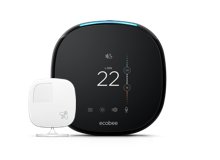 ecobee has created a rebate finder tool that connects customers to available subsidies and helps them purchase an ecobee smart thermostat at a lower price. In almost all cases the funds allotted to incentives are limited and distributed on a first come, first served basis. To participate in any of these programs, you must meet certain eligibility requirements so it’s always important to read the fine print on the applicable offer before making a purchase. Also, not all rebates are paid in cash; in some cases you may receive a prepaid Visa card for the amount. Incentives work a little bit differently. When offered by an energy provider, incentives often include a free smart thermostat (and installation) in exchange for signing up to participate in a demand response program. Participation in demand response events is optional, however, and you get a credit on your bill for your participation and reduction in energy use. A rebate is money (or cash equivalent in the form of a pre-paid card) that you get after you’ve made an eligible purchase. 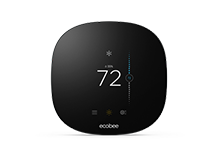 To get a rebate, you need to fill a form and either submit it digitally or by mail, along with receipts or itemized invoices for the eligible products (such as a smart thermostat).